Although built at very modest cost and planned as a temporary structure, the Cardiff Bay Visitor’s Centre vividly illustrates Alsop’s ability to use memorable form and technical innovation to create a popular new architecture of place. 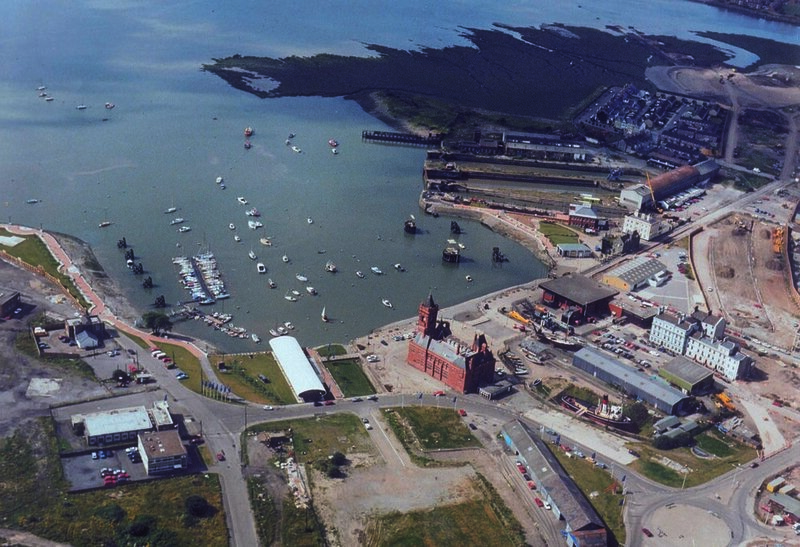 The Centre was functional in purpose: housing a series of exhibitions explaining the regeneration strategy of the Cardiff Bay Development Corporation for the rundown dockland quarter of the city (once the world’s greatest coal exporting port). These included the Cardiff Bay Barrage, for which Alsop designed the architectural and landscape elements. Beyond serving its functional brief, however, the building has become a landmark and a symbol of urban regeneration. Designed for a site next to the monumental Victorian Pierhead Building and completed in 1990, the Centre was moved to another site close by in 1993-94 - in response to a popular outcry against its permanent removal. It functions well in its new context - indeed, it creates its own context, rather than deferring to a perceived local vernacular or drawing on history. 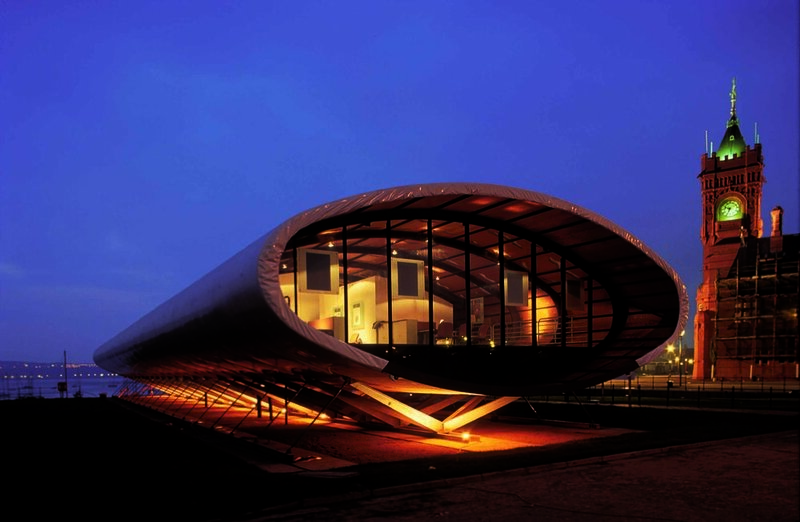 The architects are not displeased when it is compared to an object which has “landed”. The key to the building’s success is its striking oval form, sculptural and entirely contemporary but far from arbitrary. The structure is simple: oval steel ribs support marine plywood panels which, in-turn, are supported on a steel substructure, with track-like foundations. The floor level sits within this space. 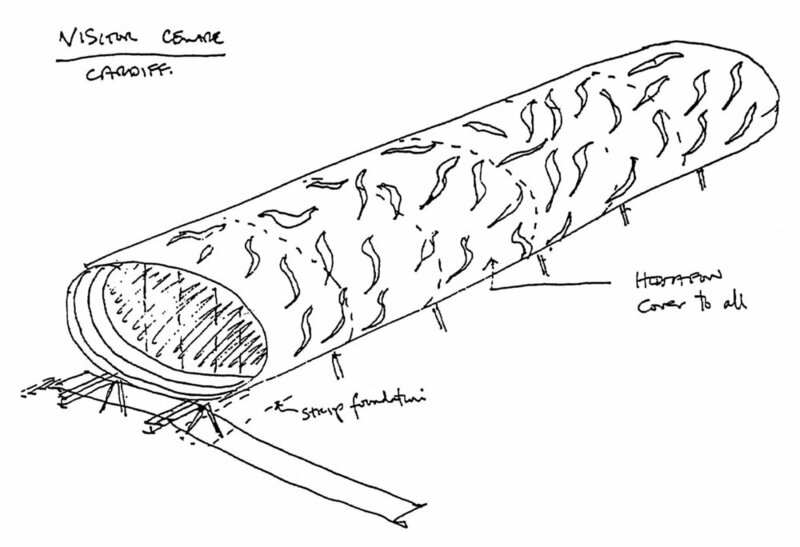 At each end, the tube or “roll” is fully glazed to provide views over the water or towards the docklands. It is covered in a weather-proof pvc-coated fabric, pegged underneath like the fly-sheet of a tent. On one level, this is a pragmatic, low-tech response to a highly practical brief. At another level, it is a structure which, hardly a building in the conventional sense, is equally a piece of urban sculpture.